www.amerisleep.com is the sole owner of any and all information collected on this website. We only have access to and/or collect information that you voluntarily provide us via email, web contact forms, or other direct contact from you. We will never sell or rent this information to anyone for any use. 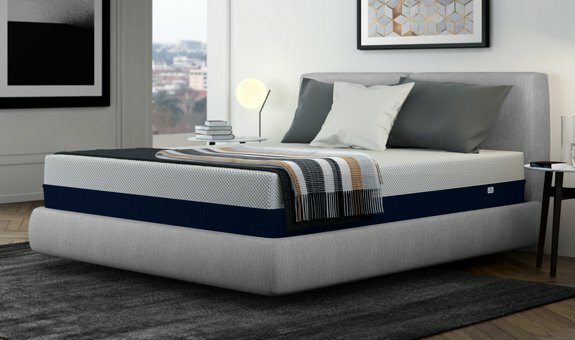 In order to purchase from www.amerisleep.com, you must provide contact information including your name, billing/shipping address, and telephone as well as your financial information (such as credit card number and expiration date). This information is only used for billing purposes and to fill your orders. If we have trouble processing or shipping your order, we will use this information to contact you. Your financial information will never be shared with third parties. Only your shipping information will be provided to the shipping company so that we may deliver your order. Upon request we provide site visitors with access to all information that we maintain about them, financial information (e.g., credit card account information) that we maintain about them, transaction information (e.g., dates on which customers made purchases, amounts and types of purchases) that we maintain about them, communications that the consumer/visitor has directed to our site (e.g., e-mails, customer inquiries), contact information (e.g., name, address, phone number) that we maintain about them . Consumers can access this information by e-mail ([email protected]), via mail (see below), or by request via telephone (800) 500-4233.
www.amerisleep.com takes the security and privacy of customers very seriously. We take every precaution available to ensure that your private information is kept private. When you submit sensitive data via our website, your information is protected online and offline.